Does Your Hardware Pass the Test of Time? 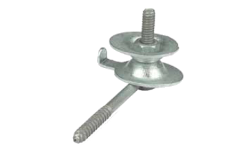 Drop Wire Mast Brackets have a mast capacity 2-1/2” to 3” diameter. 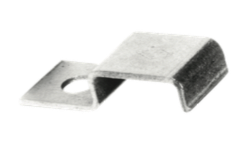 Multi-dwelling drop cable bracket, attach to building with drive screws or wood screws (1/4” dia.). 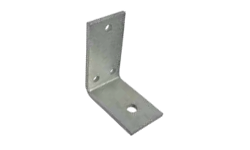 Corner wall bracket used to dead-end a messenger drop cable or a steel strand at the building. The Diamond Dual Cable Clamp is used in CATV installations to secure dual drop wire to wood, metal siding or masonry surfaces. It can also be used to secure 6 pair telephone aerial service wire. 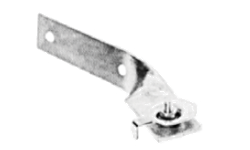 The Diamond Drop Wire Clamp is used to support both ends of an aerial service drop span at the messenger strand and building. 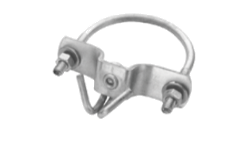 The Diamond Eye Hook is used in telephone and CATV drop installations to receive the wire loop of a drop wire clamp or wire grip. 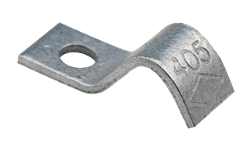 The Diamond One hole Offset Clamp is used in telephone, CATV and other utility installations to support and secure wire, cable, conduit and pipe. 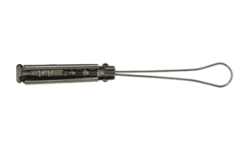 Fastened with ordinary pliers, the “S” shaped clip is used to secure the loop in the drop cable at the point of the drop wire clamp or porcelain knob attachment. 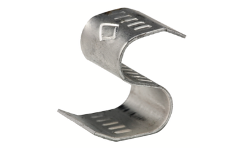 The "S" cable clip for coaxial is used to prevent separation of two cables or a messenger steel wire from a drop cable. Screw and Snap Clips secure coaxial drop wire to subscriber’s premises. Convenient strips of nine clips snap o after installation. 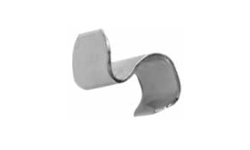 For MDU applications, 2 or 3 clips may be ganged together. 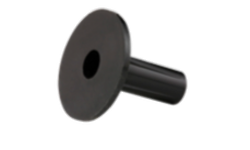 Feed Thru Bushings are designed to protect the drop cable at its entry point into customer’s premises by providing a tight seal around the cable and add a professional finish to any rough drilled holes created during the installation process. 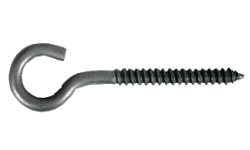 The “Omni” House hook provides a convenient wrap point for securing messenger drop wire. 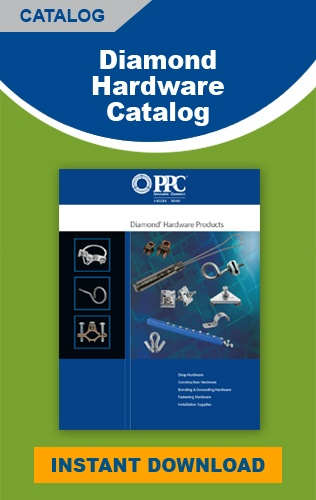 It can also be used to secure the Diamond SC02MFA-SS drop wire clamp.